The High Window is a quarterly review of poetry which, for its first twelve issues was co-edited by David Cooke and Anthony Costello. It now continues under the sole editordship of David. Its aims are wide-ranging and non-partisan. It publishes work in English by new and established poets from The UK and around the world. Alongside a lively and eclectic mix of poetry, each new issue contains an editorial, a literary essay, a selection of poems in translation, poetry reviews and occasional features. In association with its journal, The High Window Press, it is also publishing an increasingly wide range of collections by poets who are up and coming or, in the opinon of the editor, may have been unduly neglected. The High Window also publishes frequent supplementary posts in the months between each full quarterly issue. David Cooke was born in the UK but his family comes from the West of Ireland. 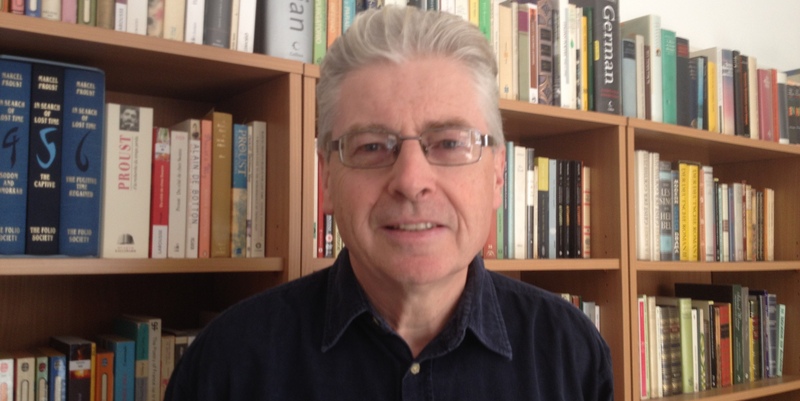 He won a Gregory Award in 1977 and has published poems, translations and reviews in the UK, Ireland and beyond. A Slow Blues, New and Collected Poems was published in 2015 year by THWP and brings together his three first collections. Since then he has published: A Murmuration (Two Rivers Press. 2015), After Hours (Cultured Llama Press. 2017) and Reel to Reel (Dempsey and Windle. 2019). For many years he was the Head of Languages in a comprehensive school in Cleethorpes. Subsequently, he earned his living as an online bookseller, but is now happily retired. Married with four grown up children, he has recently moved from Grimsby to Swindon so that he and his wife will be closer to their family.